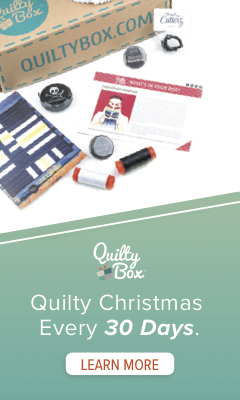 272: Tale of Two Quilties…. 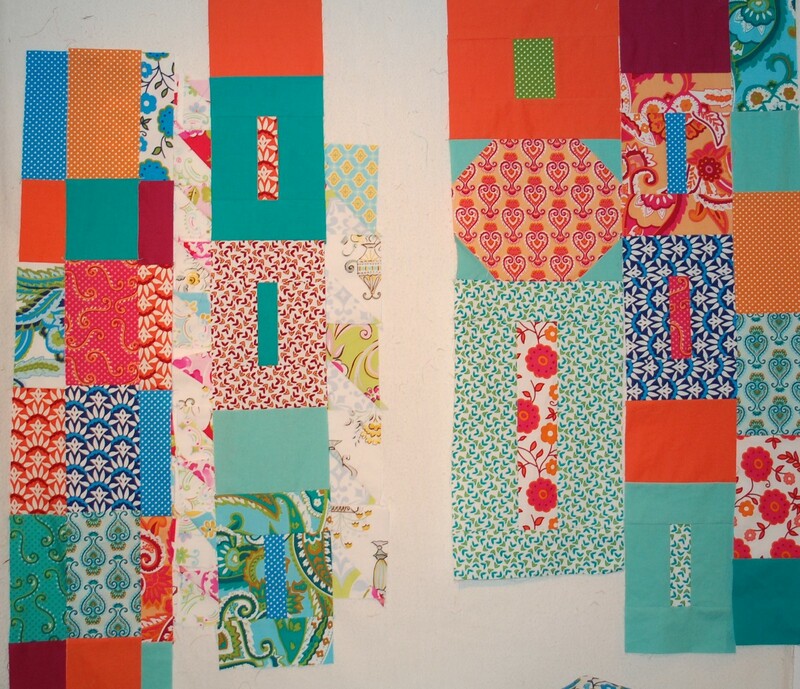 The following two quilts are an example of how things don’t always seem to work out, but in the long run they end up just fine…. 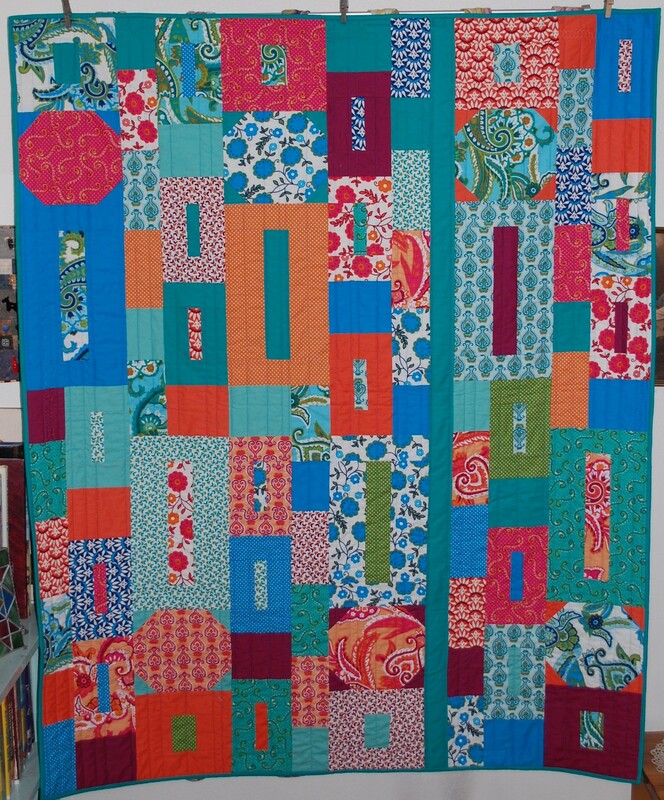 At first I was asked to do a quilt for Annette Tatum’s new line Mod, so I received the fabrics and came up with this…. Which a lot of people loved, but it wasn’t quite what they were looking for…. It was my first attempt at working with solids and prints together. I think it came out rather nice though, and was very disappointed that they didn’t want it….but they did end up just buying it and they will be auctioning it off sometime in the future….so you could win it someday! I will let you know when I know…..you know? BUT, since I had the pattern started, Free Spirit asked me to reinterpret it in another new line Darjeeling by Rosanna Bowles (who by the way is a Seattleite as well) So you get to see this quilt done two different ways! I am so hoping that you will like this pattern and make it in YOUR look, and then share the pics with all the world here! 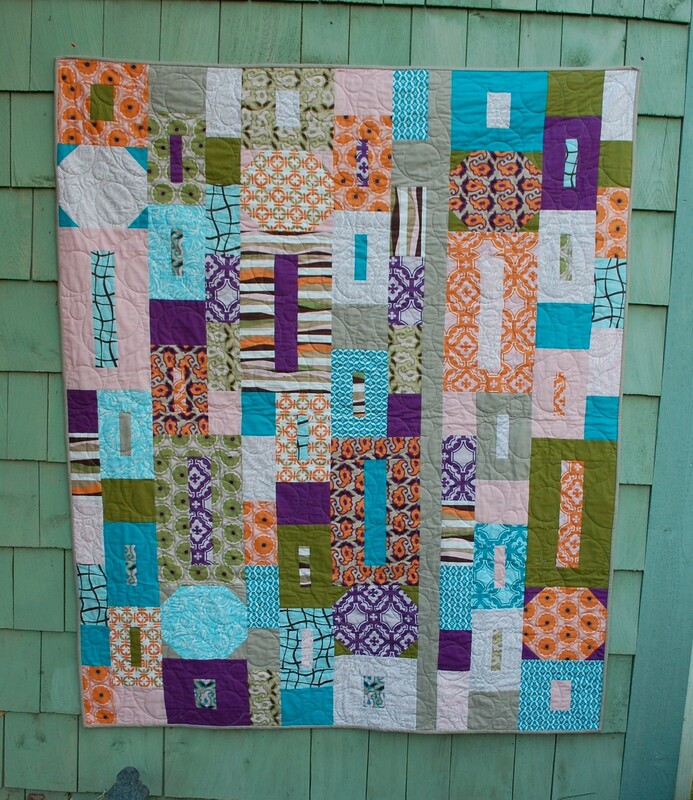 It is an easy pattern, and it embraces the Mod Movement in quilting that so quilters are going GaGa for!! Oh, and before I forget….please go over here to check out what you can do to help the folks “down under” who have been under WAY too much lately!! 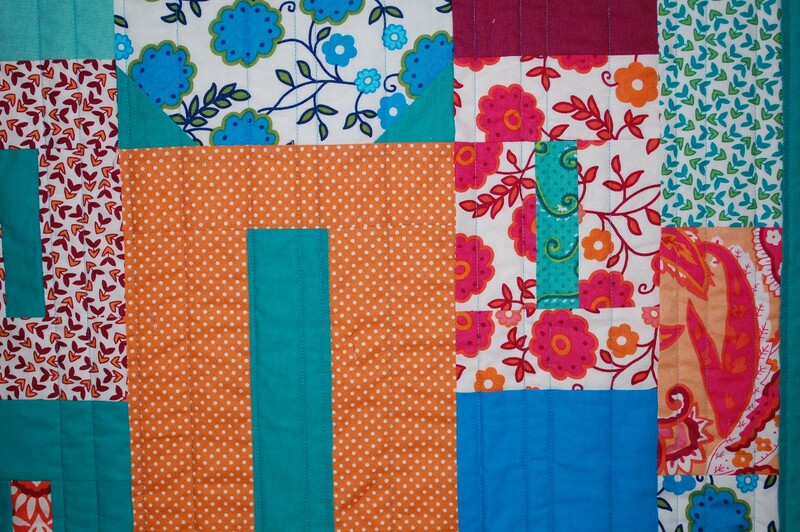 These are both beautiful quilts, but it really and truly pops in Darjeeling. 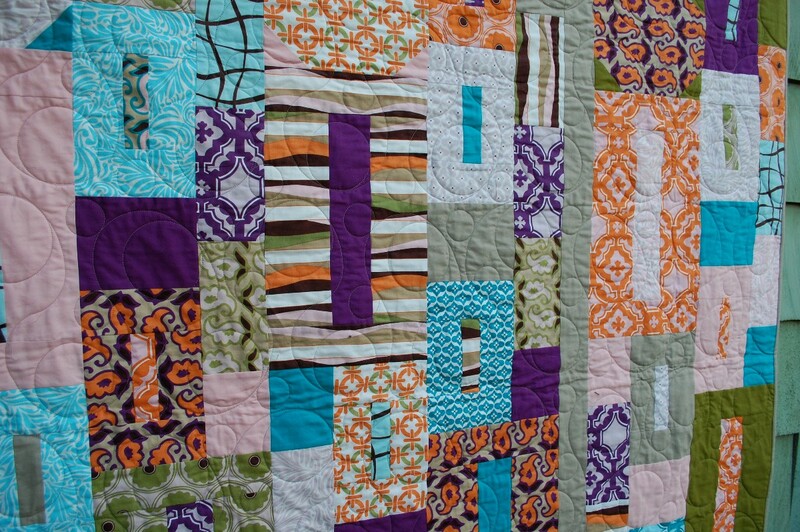 Wow I love the first quilt made with Mod. Can’t believe the company didn’t. If they want to get rid of it, I know someone who’ll take it off their hands. Thanks for showing us. 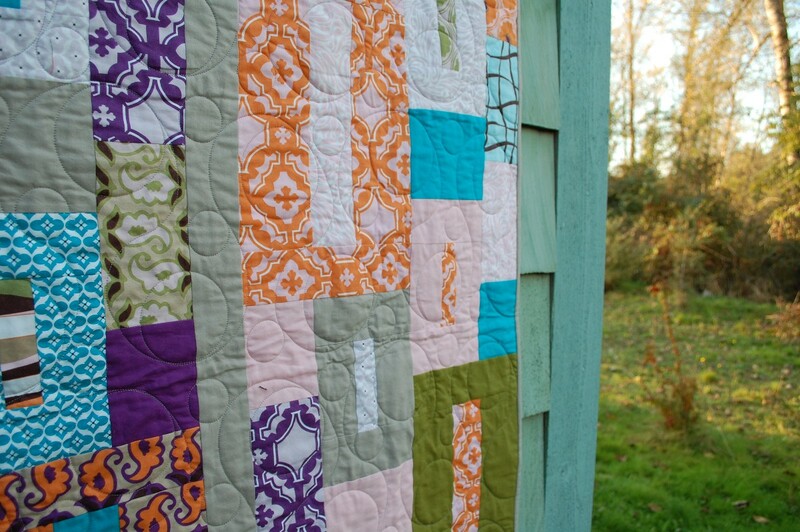 I like the quilt pattern done in both colorways. I agree – It looks easy and very modern which I think is a win, win! Yep I have to ditto that I think it works in both colorways same pattern for two very differently decorated homes! I just found your site through Quilt Dad. 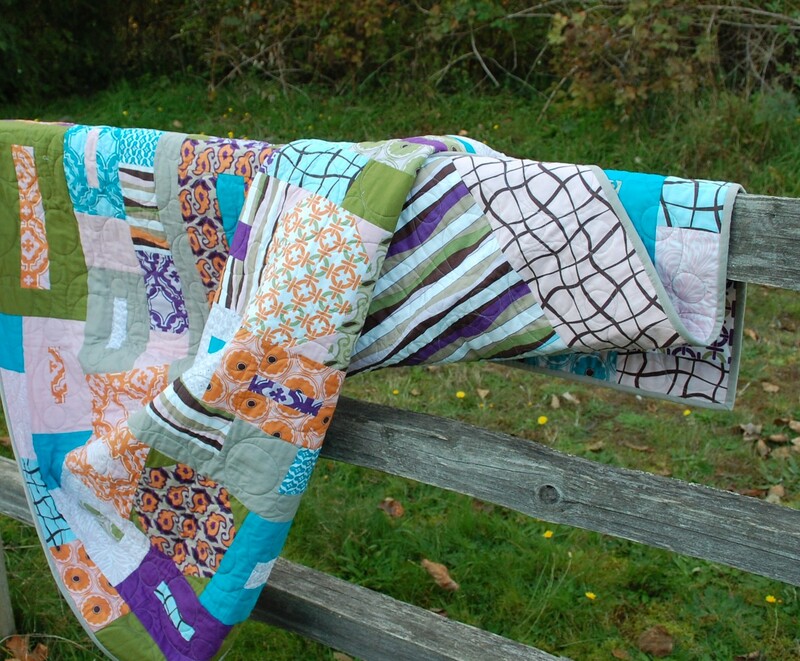 The Darjeeling quilt is gorgeous and I am going to make it. Yeah! When you make it, Please be sure to post it on the Blue Nickel Flickr Group Page!! scott – this is divine! so modern – I LOVE it!